Antenna Testing Services Made Easy! If you have any questions or feel like a quick quote, just ask ! Our 3D spherical plots renderable on your desktop PC, that you can rotate and scale with our free software. Our 2D polar plots are renderable right in the supplied Excel spreadsheets. Our Excel spreadsheet results allow easy viewing, exporting, post processing, or custom plots like “efficiency vs frequency,” “forward gain vs. frequency,” “front-to-back ratios,” and much more. We take all gain data from quad-ridge horns giving you orthogonal vector data (vertical/horizontal with phase) as well as power-sum totals for each test direction and frequency. We do all the math for you … just tell us what you need ! We offer full vector/phase testing with axial ratio and LHCP/RHCP characterization on circularly polarized antennas, with an axial ratio vs frequency graph. The added cost is FREE. 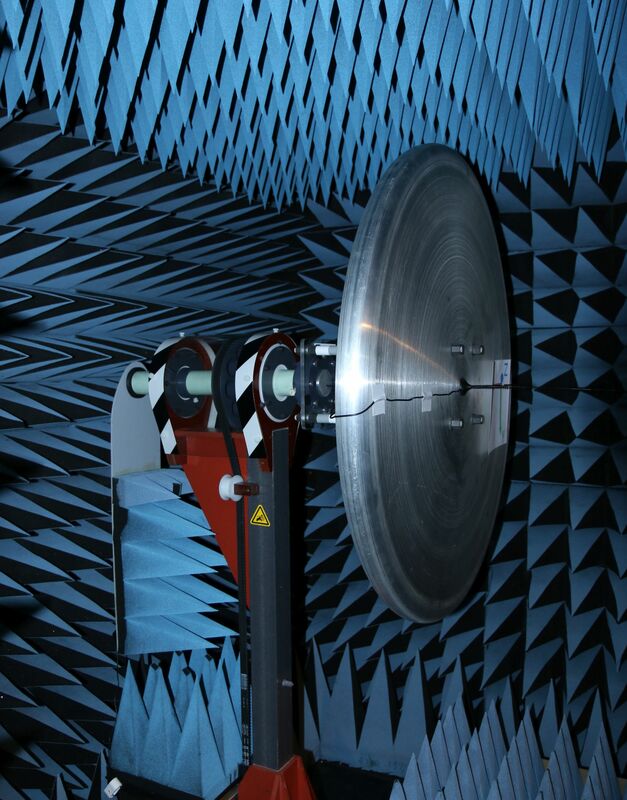 Photographs of your antenna under test in the anechoic chamber. We recommend full 3D plots for all new, unproven, and non-directional antennas. 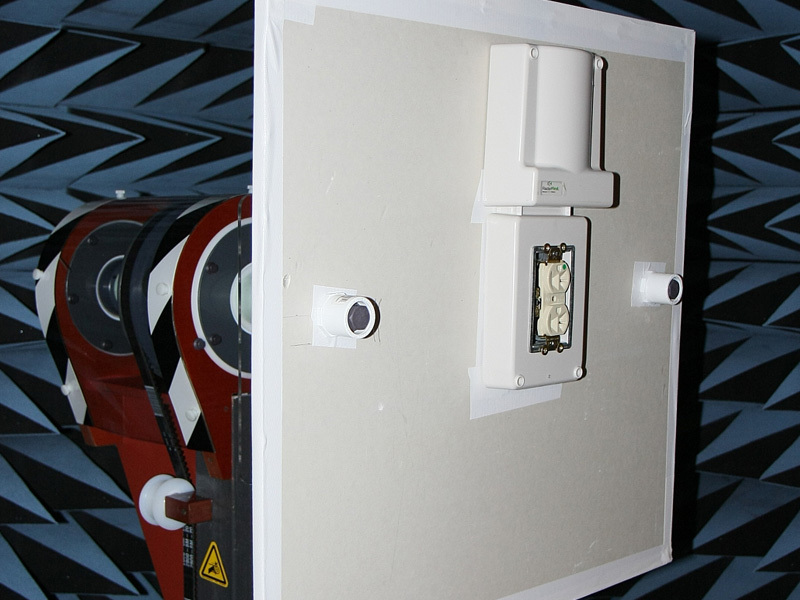 Our 3D spherical plots allow unparalleled visibility into an antenna’s true radiation pattern. Choose a 3D spherical plot or traditional polar plot based on your needs. Not sure ? Here are our recommendations. Our 3D plots are renderable on your desktop PC at any or all of your test frequencies with this free software. Also, all 3D test customers receive a free plot of their antenna’s radiation efficiency vs frequency. Our 2D polar plots each have two “cuts” (you can add a third) for every test frequency. Not sure about 2D polar vs 3D spherical. Here are our recommendations. Our 2D plots are renderable at any or all test frequencies, right in the supplied Excel spreadsheet results. Our standard 3D spherical patterns are 10-degree resolution or 2-degrees for polar plots (which include two orthogonal “cuts”). Upgrade to high resolution for an additional $300 per pattern. You get 3D spherical patterns at 5 degree resolution or 2D polar plots at 1 degree resolution. Polar plots also have two “cuts” included. We can test and pattern your passive antenna’s gain in dBi ,by sweeping it with our vector source, and measuring total gain (in dBi) in our far field chamber. Choose from 2D or 3D patterns above. You get gain in hundreds of directions and frequencies, for a thorough evaluation. We can pattern your passive antenna’s gain in dBi or your live transmitter’s EIRP in dBm. If you select a 3D spherical plot, we will also calculate the transmitters Total Radiated Power. Compare this to your conducted power to calculate your antenna radiation efficiency. For and extra $150 per antenna, get Excel spreadsheets of your antenna’s VSWR, return-loss (in dB), and complex impedance, over your entire test frequency range. For an extra $150 per antenna, get Excel spreadsheets of your antenna’s VSWR, return-loss (in dB), and complex impedance, over your entire test frequency range. Extra 2 degree polar cut are $150 each, or $250 each for 1 degree resolution. We can generally accommodate antennas up to about 24″ in any dimension. Want a non-standard pattern? Contact us for your custom test requests, such as special resolutions, partial cuts, or partial 3D spheres. With prior arrangements, we can complete testing in 24-hours, at an additional cost of $500 per antenna. Note, due to our busy chamber schedule, most quick-turn patterns are done at night.